Should I be concerned about minor head injuries? As we’ve seen, there has been a constant increase in the focus on traumatic brain injuries (TBI) in the United States over the past decade or so. Medical experts have expanded their studies of TBIs and nationwide organizations have donated millions and millions of dollars for additional research. And as a result of this focus, we are beginning to learn even more about the potential long-term effects that can be devastating to victims of traumatic brain injuries. Thanks to the numerous studies that have been done on the causes and effects of traumatic brain injuries, we know how these injuries can be life changing for victims and their loved ones. Even when properly treated, traumatic brain injuries can result in long-term brain damage, emotional distress, depression, and even death. As Stevenson points out here, the education and awareness of TBI’s and the long-term effects is one of the most critical components to progress in preventing and reducing the collateral damage of these injuries. But there are a number of common misconceptions when it comes to diagnosing and treating traumatic brain injuries. A "minor traumatic brain injury" is a misnomer. The term "minor" usually refers to the absence of significant clinical findings (like fracture or impalement) and the absence of imaging findings (on MRI or CT scan). But the symptoms form a minor TBI can be debilitating. 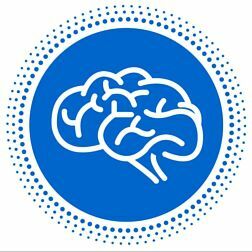 Some physicians who treat minor TBI patients report that the minor brain injury is worse than a significant TBI in the sense that the patient will usually have just enough awareness to recognize their symptoms (like cognitive difficulties, memory problems, personality changes, etc.). A person with a minor traumatic brain injury may also face problems with family members and friends who do not recognize the injury at all because the person appears to be fine on the surface. In most minor TBI cases, the victim should be evaluated by a competent neurologist experienced with minor TBI patients and a neuropsychologist who is trained to test for the loss and/or impairment of brain function caused by a minor traumatic brain injury. While traumatic brain injuries are quite common among motor vehicle accident victims, the prevalence of these injuries is discussed in the world of sports, where athletes are very high risk when it comes to TBI. Often times, the desire to continue competing as an athlete can conflict with the best-interests of victims of traumatic brain injuries. Conversely, the same is true for non-athletes who are anxious to carry on with their everyday lives. The classification of traumatic brain injuries can make the recovery process and return to a normal life confusing and complex. Concussions are typically categorized as a ‘mild’ TBI because in comparison to other categories, the physical trauma to the brain is less severe. But the damage that is caused by these injuries should never be overlooked, especially during the recovery process. In fact, victims who suffer from traumatic brain injuries are considered extremely fragile during the weeks and even months following the injury. This recovery period actually increases the risk of further injuries and long-term effects, including Second Impact Syndrome (SIS). SIS is a serious form of injury that refers to a person who suffers an additional TBI while recovering from a previous one. While SIS is not a frequent occurrence, the long-term effects that can result from it are serious and sometimes fatal. Even in nonfatal instances of SIS, the victim typically experiences long-term brain damage and emotional distress, including depression. Traumatic brain injuries can be utterly devastating to both victims and their loved ones, especially in accidental cases involving children. Anyone who sustains a TBI should consult with a medical professional to determine appropriate treatment options, as most TBIs are different in some way. As we mentioned in this article, do not participate in heavy physical activity during the recovery process to avoid suffering from second impact syndrome (SIS). 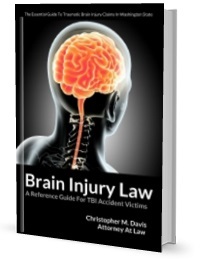 If you suffer a TBI as a result of the negligence of another person, it is important that you immediately consult with a brain injury attorney.